Key Difference: Galaxy Note 3 comes with a 5.7 inch screen 1080p Super AMOLED display. Samsung Galaxy Note 3 Neo is a lower price version of the Note 3 and comes with a slightly smaller 5.5 inch Super AMOLED display. Large screens have become a latest trend, with many people going big or going home – well mostly going big. Screens originally starting at 2.5in have steadily increased to now 5in being the norm. Then the Phablets and Tablets were introduced, which boasted even bigger and better screens. Samsung is one of the prominent players in the Phablet market with a wide range of products. 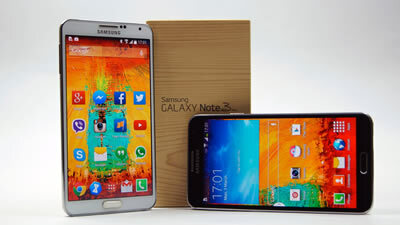 Samsung Galaxy Note series was a hit in the phablet and large screen phones market. Galaxy Note 3 was an upgrade (in terms of hardware and software) compared to the older Galaxy Note series. The Note 3 carried a more ‘sophisticated’ look with a faux metallic bezel and a rear cover made of plastic leather with faux stitching. It was also thinner and skinner compared to the Note II. The phone offered a 5.7 inch screen 1080p Super AMOLED display. Under the hood, the international version of Note 3 was powered by four 1.9 GHz Cortex-A15 cores and four 1.3 GHz Cortex-A7 cores. It came with 3 GB RAM. It also came with superb camera capability with a 13 MP rear cam and a 2 MP front cam and multiple modes such as Golf, Sports and Surround Shot, etc. There were three storage options – 16 & 32 or 64 GB of internal storage. Samsung also added a 3200 mAh battery to power the high paced device. Keeping in tradition with the new Galaxy Flagship series, the Note 3 came with built in functions such as Air Gestures, S Health, Story Album, etc. Samsung Galaxy Note 3 Neo is a lower price version of the Note 3 and offers many similar features, but also tends to leave out a few things in lieu of the lower price tag. 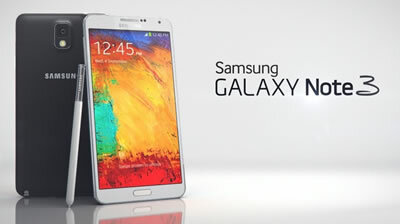 Note 3 Neo was launched in February 2014 and came with a slightly smaller 5.5 inch Super AMOLED display. It also didn’t offer the Full HD, but rather just HD – which is not significantly noticeable. Note 3 Neo also sacrifices the camera and is given a 8 MP rear camera and 2 MP front camera. Under the hood, the international 3G models and some 4G LTE models, use a hexa-core Exynos 5260, consisting of two 1.7 GHz Cortex-A15 cores and four 1.3 GHz Cortex-A7 cores. It also comes with 2GB RAM and allows only 16 GB of internal storage. It is powered by a slightly lesser 3100 mAh battery and also ships with an S Pen stylus, which has been updated to use a more symmetrical shape. One loss for the Note 3 Neo is that it doesn’t come with Air Gesture and Reading Mode – meaning, there will be no air swiping to turn the pages of the scroll through images. Both are significantly similar in looks and usage. There is no lag on either of the phones and the Note 3 Neo still comes with many functions that are similar to the flagship Note 3, but with just a cheaper price tag. GPRS, EDGE, WLAN, Bluetooth, NFC, Infrared and USB.